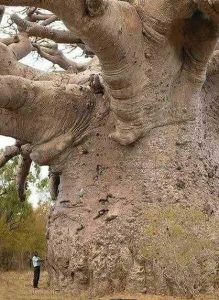 When a number is an adjective there is no -s.
I have a 500-year-old tree. Also, don’t forget we add hyphens to multiple word adjectives that go before the noun. Tree is the noun, 500-year-old is the multiple word adjective that describes it. When the adjective comes after the noun we use an -s if it is more than one, but no hyphens. • My tree is 500 years old. • My daughter is ten years old. Remember: When a number is an adjective no -s.
Re-write and CAREFULLY complete the following sentences. Sometimes you need to use the singular (day/page/etc), sometimes the plural (days/pages/etc) and sometimes with a hyphen (five-day/800-page/etc). Four mile, three day, 1000 euro, four door, five page, 25 yard, 60 minute. There are ___ in an hour. I have a ___ car. I have a four-door car. My car has four doors. We went for a ___ walk. We went for a four-mile walk. We walked for four miles. We had a ___ weekend. We had a three-day weekend. Our TV cost 1000 euros. Our TV cost 1000 €. Suarez scored with a ___ shot. Suarez scored with a 25-yard shot. Last week I got a ___ letter from Hanna. Last week I got a five-page letter from Hanna. Two hour, seven course, 15 minute, 800 page, 25 watt, 18 month, 500 year old, three day. It’s a long book. There are more than ___. It’s a long book. There are more than 800 pages. This light bulb is ___. This light bulb is 25 watts. It’s only a ___ flight from London to Madrid. It’s only a two-hour flight from London to Madrid. It was a very big dinner. There were ___. It was a very big dinner. There were seven courses. I usually have a ___ coffee break. I usually have a 15-minute coffee break. This lamp needs a ___ light bulb. This lamp needs a 25-watt light bulb. She’s got an ___ contract in her new job. She’s got an 18-month contract in her new job. The oldest building in the town is the ___ castle. The oldest building in the town is the 500-year-old castle. It was a public holiday so the weekend lasted ___. It was a public holiday so the weekend lasted three days. A 8,851.8 kilometre wall. To put it another way. 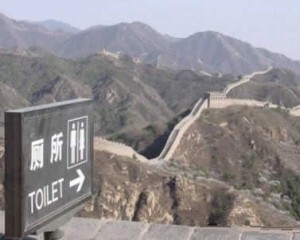 The Great Wall of China is 8,851.8 kilometres long.